Bangalore, now known as Bengaluru, the capital city of Karnataka, is quite popular for being an IT and manufacturing hub, and plays host to a number of musical concerts all around the year. An erstwhile princely state of the southern region of India, it was under the reign of the successor of one of the South Indian dynasties, till it came under the reign of Kempé Gowda - a feudatory ruler under the Vijayanagara Empire. In its course of recorded history, Bangalore was later ruled by the Marathas and then the Mughals and finally it came under the British Raj. 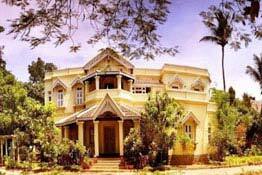 Every ruler, during his reign, erected his residence in the form of a palatial property some of which have been turned into heritage hotels in Bangalore. One of such property is Villa Pottipatti, which was constructed in the 20th century. Now popular for being a perfect accommodation option for both leisure and business travelers, it is a beautiful bungalow. If you are planning to visit the ‘City of Gardens’ then make a booking through Heritage Hotels of India, while being in the comfort of your home. You will have a comfortable stay in its well-appointed rooms that have every modern facility. Enjoy a mesmerizing stay while having an amazing view of the surroundings.